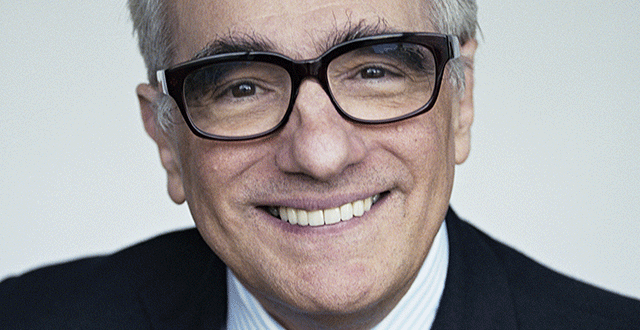 Martin Scorsese, Academy Award winning American film director, screenwriter, producer, actor, and film historian and preservationist, will deliver the 2013 Jefferson Lecture in the Humanities. The annual lecture, sponsored by the National Endowment for the Humanities (NEH), is the most prestigious honor the federal government bestows for distinguished intellectual achievement in the humanities. Scorsese will present the 42nd Jefferson Lecture in the Humanities on Monday, April 1, 2013, at 7:30 PM at The John F. Kennedy Center for the Performing Arts in Washington, D.C., where he will discuss the evolution of his films, the art of storytelling, and the inspiration he draws from the humanities. The acclaimed director and producer of some 50 films, Scorsese has directed such landmark works as Mean Streets (1973), Taxi Driver (1976), Raging Bull (1980), Goodfellas (1990), Casino (1995), and The Departed (2006). His singular vision has helped define modern American film. Drawing inspiration from such wide-ranging sources as Fellini, Powell and Pressburger, Hitchcock, Dante, and Dostoyevsky, Scorsese is renowned for having expanded the boundaries of his art. His films, though incredibly diverse in subject and style, are reputed for their incorporation of camera and editing techniques from different genres and distinctive treatment of signature themes of isolation and tribal identity, violence and loss, guilt and redemption, faith and spirituality. Underlying many of Scorsese’s films is a vital sense of place— in particular, a nostalgic reverence for his native New York, which he captured in meticulous detail in such films as Mean Streets (1973), The Age of Innocence (1993), and Gangs of New York (2002). He has grappled with universal questions of faith, grace, and religion in films like Kundun (1997) and The Last Temptation of Christ (1988). A music aficionado, Scorsese is known for both his distinctive use of music in film and his engagement with music and music-making in his documentaries The Last Waltz (1978), The Blues (2003), No Direction Home (2005), George Harrison: Living in the Material World (2011) and in his 1977 musical New York, New York. Films such as Hugo (2011), The Aviator (2004), the documentary A Personal Journey with Martin Scorsese Through American Movies (1995) and Il Mio Viaggio in Italia (1999) display his exhaustive knowledge of and passion for film and film history. In addition to his work as a filmmaker, Scorsese is a champion of film preservation and education. In 1990, Scorsese established The Film Foundation, a nonprofit organization dedicated to protecting and preserving motion picture history by providing support for preservation and restoration film projects at leading film archives. Since its inception, The Film Foundation has helped save over 560 motion pictures and has been instrumental in raising awareness of the need for film preservation. In 2007 he established the World Cinema Foundation, which works to preserve and distribute neglected global films from around the world, particularly from countries without the financial or technical means to do so. Martin Scorsese was born in 1942 in Flushing, New York. His mania for film dates to the Italian films he watched as a child on television or local movie theaters with his family. By age eight, Scorsese was drawing his own storyboards, his vision of humanity shaped by the view through the fire escape of his grandmother’s Little Italy apartment. Scorsese studied at Washington Square College, now known as New York University, where he earned a bachelor’s degree in English Literature in 1964, and received a Masters in Fine Arts in film from NYU’s Tisch School of the Arts in 1966. Scorsese is the recipient of numerous honors and awards, including an Academy Award for Best Director for The Departed, which also took home the Oscar for Best Picture (2006), three Golden Globe awards for Best Director, an Emmy for Best Director for the HBO series Boardwalk Empire (2010) and the American Film Institute’s Lifetime Achievement Award (1997.) He received the 2010 Cecil B. DeMille Award at the 67th Golden Globe Awards, was awarded the Palme D’Or and Best Director Award at the Cannes Film Festival, won the BAFTA Academy Fellowship Award, Emmys, and a Grammy Award. He was awarded the French Legion of Honor in 2005 for his contributions to cinema, honored at the 2007 Kennedy Center Honors, and awarded the Order of Merit of the Italian Republic in 2001. The Jefferson Lecture is the Endowment’s most widely attended annual event. Past Jefferson Lecturers include Wendell Berry, Drew Gilpin Faust, John Updike, Henry Louis Gates, Jr., Bernard Bailyn, Toni Morrison, Arthur Miller, James McPherson, Barbara Tuchman, and Robert Penn Warren. The lectureship carries a $10,000 honorarium, set by statute. Tickets to the lecture are free of charge and distributed on a first-come, first-served basis. Ticket requests may be submitted through an online form on the NEH website (www.neh.gov) which will be made available beginning on March 11. The April 1st Jefferson Lecture will also be live-streamed online. Check www.neh.gov for further details.